Mary Hughes begins the morning of December 8th the same way she has for the past 78 years – by donating boxes of food and clothing to the homeless. But the rest of her day is anything but typical. She is ushered off to the world-famous Atlanta diner, The Varsity, where her honorary photograph is unveiled right below that of President Barack Obama’s on a wall of photos honoring the restaurant’s most noteworthy visitors. Then, she’s driven to a party – an event packed with friends, family, reverends, judges and other notables who have come together to celebrate her life. 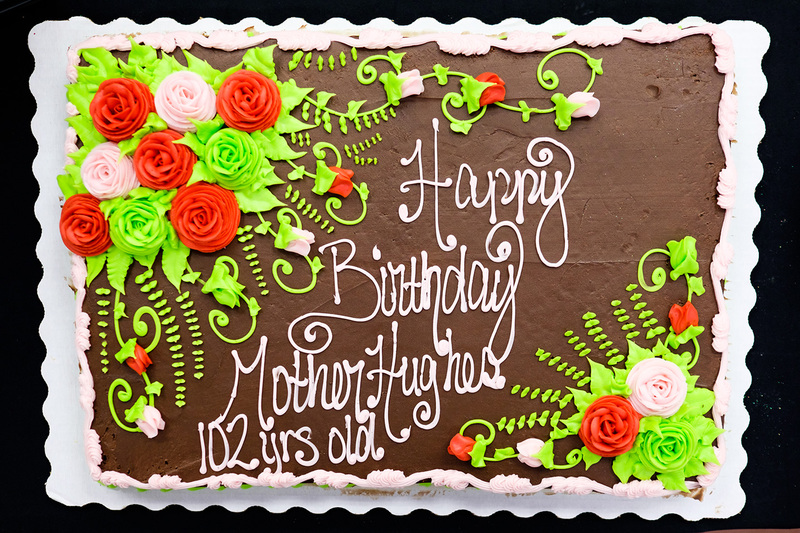 Hughes is one of a small number of centenarians —people above the age of 100— in the United States. She’s among even fewer people who have reached the age of 102. 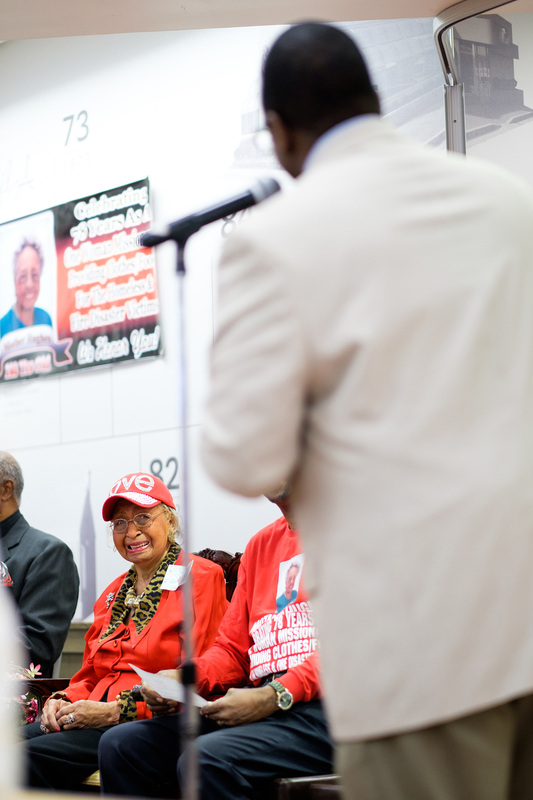 But what brings a community together today to celebrate is not just her years, but how she has spent them. “I’ve always wanted to help people,” says Hughes. And help she has. Hughes has spent the majority of her life pouring into other people. She has volunteered at soup kitchens, started scholarships for young people, donated money to underprivileged children, and so much more. “When you help somebody, that’s all you can do. Because the more you give to God, the more He gives to you,” says Hughes. What she may best be known for is her annual birthday tradition: donating clothing and food to those in need. She donates one box for each year she’s been on Earth. 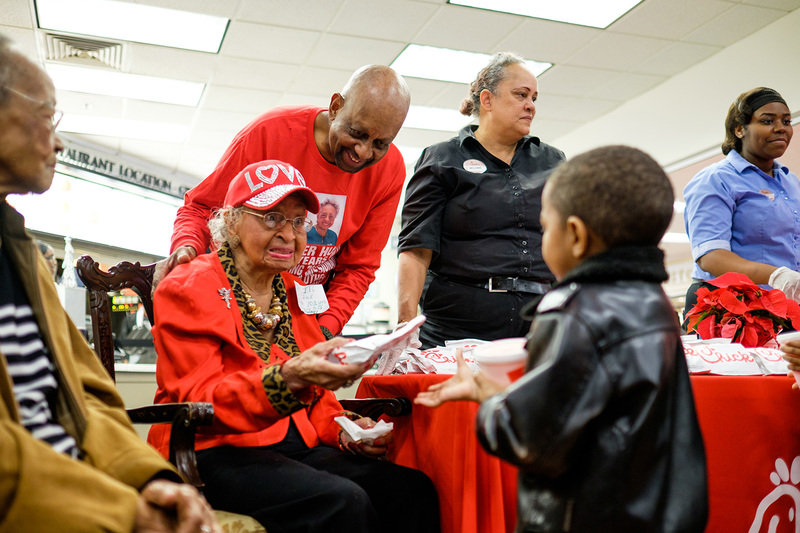 So for her 102nd birthday, Mother Hughes visited a local homeless shelter to donate 102 boxes. And she plans to do the same next year. Perhaps the reason Mother Hughes has committed her life to helping others is because her own upbringing wasn’t so easy. Orphaned as an infant after her parents’ deaths, she went on to graduate as valedictorian of her high school class and later earn a nursing degree, kicking off a life that would center around caring for others. The person she’s been caring for the longest is her only child, Dr. Herbert Bridgewater. Mother Hughes is not done giving back. Even her birthday party, held this year at Chick-fil-A at Greenbriar Mall in Atlanta, is all about others. More than 60 kids, all of whom are on a limited meal program, came to the restaurant to celebrate with her and enjoy free Chick-fil-A sandwiches. Mother Hughes handed them all out herself. Wayne Blessitt owns the Chick-fil-A at Greenbriar Mall. For him, the experience is one to learn from. To someone on the outside, this Chick-fil-A —a shopping mall restaurant— may not be an obvious pick for such a celebration, but the choice is significant. Mother Hughes’ history with Chick-fil-A goes back to its late founder Truett Cathy, who was there for her in a time of need years ago – what has become “a fantastic story” about Mother Hughes, according to her son. The community would return the love Hughes had shown them during the course of so many years by coming together to raise money for her. Local sports teams even joined in donating clothing to the woman who had donated so much herself. Hughes wanted to express her gratitude, but she had nothing left to give. That’s when she called Truett Cathy himself and worked with him to deliver Chick-fil-A to the entire fire department that rescued her. “It’s just what she does,” says Bridgewater. Although she only has one biological son, Hughes will tell you she has no shortage of children. “I have so many children, I don’t know what to do with them all,” she says. Each of her many godchildren, relatives and friends gathered to celebrate her 102 years has a story about what they have learned from her. Mother Hughes’ cousin, Tillman Hughes, says she’s taught him the difference between legacy and heritage. What's next for Mother Hughes? One thing is certain - she's not slowing down. In fact, she's created a cookbook with her favorite recipes, and in true "Mother Hughes" fashion. 100 percent of the proceeds will go to help college students pay for textbooks. "What I do, I do for everybody," she sates simply. She says this others-first is the key to a long life. And in her spare time, she will be looking ahead to her next birthday. After all, it takes some planning to give away 103 boxes of love.